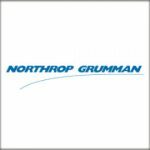 Northrop Grumman (NYSE: NOC) has made a series of leadership changes after Chief Operating Officer Gloria Flach and Sid Ashworth, corporate vice president for government relations, announced plans to retire by the end of December. 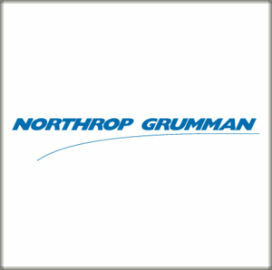 Kathy Warden, corporate VP and president of Northrop’s mission systems business, will transition to new roles as president and COO of the company, effective Jan. 1, Northrop said Tuesday. Warden will succeed Flach as COO and manage the Falls Church, Virginia-based defense contractor’s three operating sectors and Orbital ATK‘s (NYSE: OA) integration into the firm upon completion of the acquisition deal. She previously held leadership positions at General Dynamics (NYSE: GD), General Electric (NYSE: GE) and Veridian before she moved to Northrop in 2008. Mark Caylor, currently head of the company’s enterprise shared services organization with oversight on corporate strategy and mergers and acquisitions, was elected by Northrop’s board of directors to serve as a corporate VP and succeed Warden as president of mission systems business in January. Shawn Purvis, currently Northrop’s VP and chief information officer and a former executive at Science Applications International Corp. (NYSE: SAIC), will serve as corporate VP and president of enterprise services sector. Lesley Kalan, head of Northrop’s corporate legislative affairs organization and a former VP at the Cohen Group, was elected to succeed Ashworth as corporate VP for government relations in 2018. Warden, Caylor, Purvis and Kalan will all serve as members of Northrop’s corporate policy council. “I am delighted to welcome Kathy, Mark, Shawn and Lesley into their new roles as we continue to focus on driving top performance for our customers, shareholders and employees,” said Wes Bush, Northrop chairman, president and CEO and an inductee into Executive Mosaic’s Wash100 for 2017.